Chicagohenge 2017. An Ode to Chicago. I tried my hardest to get to Chicagohenge last year but as it turned out, my Boudoir Day happened the same day and we ran late & I missed it. So, I made it a goal to see it this year and I may have been a day or so early (I'm not sure which exact date it was) but it was close enough for me! 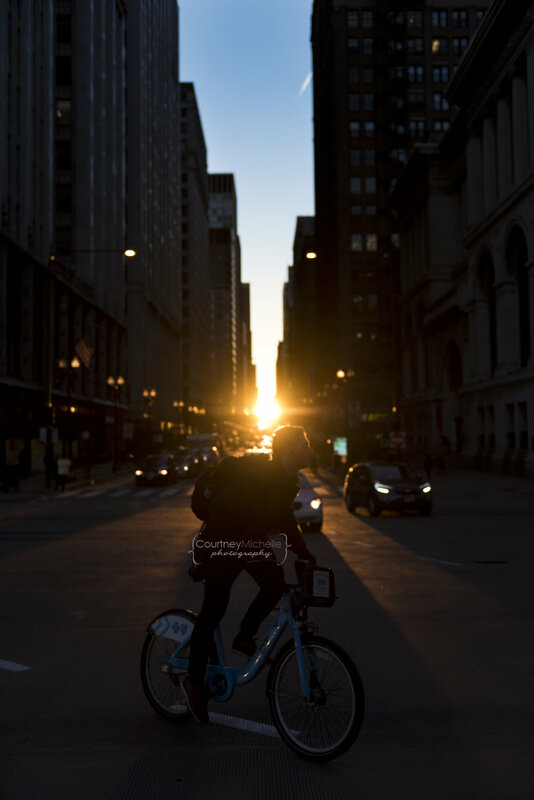 What is Chicagohenge?? When the sun's rays and the city's grid align perfectly to create an enchanting wonder of light. This city is always beautiful to me, but this was astonishing to watch! 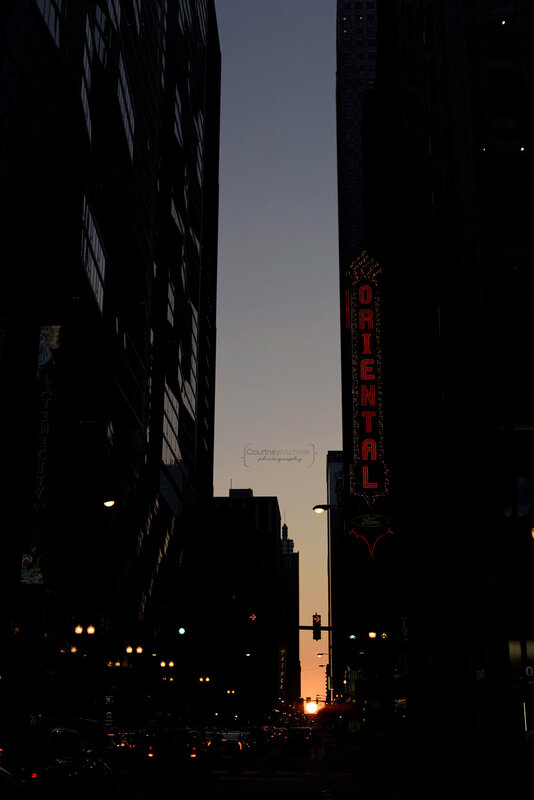 I walked all over the north Loop, looking for what I thought would be a great spot to see it and ended up at the corner of State Street and Randolph with the Oriental Theatre directly in view. I was shooting and dodging traffic, waiting for the sun to do its' dance, and suddenly it inched its way around a towering building and it took my breath away. See my Instagram shot that I grabbed with my phone to see some sun flare trail. Below are just a few of my favorites from the evening. Next year I'll find a different spot and bring a model along and see what I get! You know I love a pretty photo but let's get a human(s) in there and I'll melt! Speaking of melting... I have never been so in love with a city in my life. Excuse me while I get a bit philosophical. I am a firm believer that everything happens for a reason, and that we are meant to be where we're at in life, but I can't help but wish I'd moved here sooner. Although, had I done that, I may not have experienced it or appreciated it the way I am now. Chicago, I love you and how you've opened my heart & helped me feel more alive than ever. Merchandise Mart looking glorious in that delicious golden light. The L went by at the right moment. I love a good reflection!